Mali’s main donors, France and the US, have repeatedly insisted that fresh national elections be held. The US government is barred by its own legislation from providing any military or development aid to Mali until a new vote is held. So, in late January, the Malian government duly announced that elections would be organized in July, and its representatives continue publicly to stick by that timetable. Unfortunately, there are at least four obvious reasons why a July poll date is unrealistic. Part of the country is still entirely outside government control. Towns in the region of Kidal, cradle of multiple rebellions since Mali’s independence including the most recent one, have been occupied by separatist MNLA rebels since Islamist forces abandoned them in late January. While the French have kept the separatists at arm’s length, so far the Malian armed forces have been either unable or unwilling to enter the region and confront the MNLA, which refuses to disarm or permit elections until it can negotiate some form of regional autonomy with the Malian government. Such concessions would be political poison for authorities in Bamako, however, where the MNLA is widely seen as a criminal organization which must be dealt with harshly. Insecurity persists even in some government-held regions. A spate of suicide bombings and attacks in Gao and Timbuktu since February has shown that the Malian army’s control of these towns remains tenuous. It would be simple for a few committed terrorists to disrupt the electoral process and intimidate people into staying home. Critical electoral infrastructure is not yet in place. 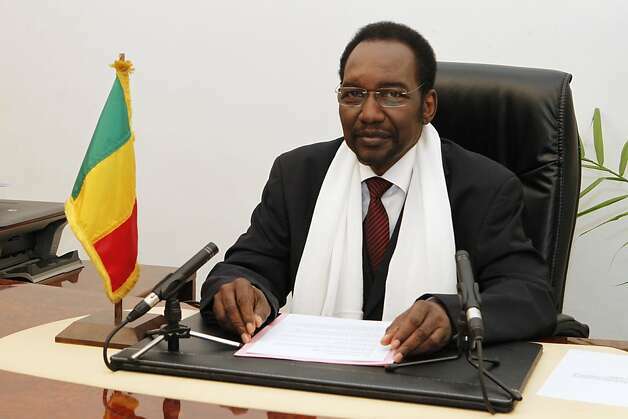 The Malian government only awarded a contract to produce voter ID cards in April. Even if the contractor produces and delivers them on time, the mere process of distributing them to nearly seven million Malian voters would be daunting in the best of times. And, given that hundreds of thousands of Malians are still displaced from the conflict, this is not the best of times. It’s just the wrong time of year. July is a critical month in Mali’s agricultural calendar: it’s the month when rainfall becomes regular and cultivation activity peaks. In other words, Mali’s mainly rural population will be preoccupied with other things. The rains will also make travel difficult in much of the country, with flooding and impassible roads. French troops in all-terrain vehicles had a rough time crossing the Timbuktu region at the height of the dry season; how will poll workers access these areas after the rains have begun? As if all that weren’t enough, July this year largely overlaps with the month of Ramadan, which will also hinder participation in elections. 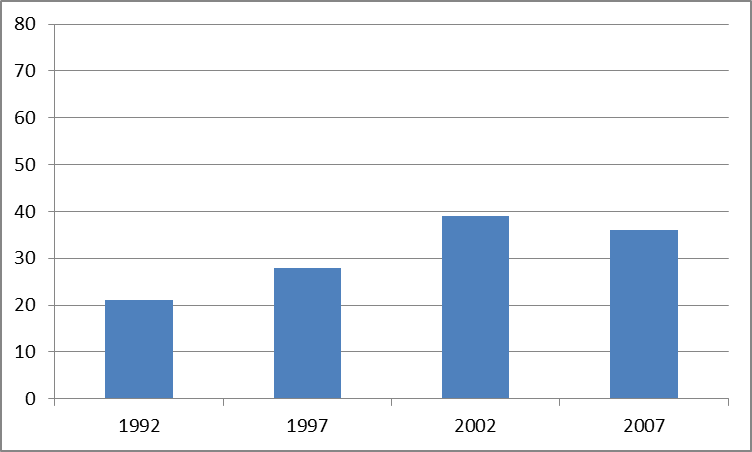 One of the great failings of Mali’s formally democratic system over the past 20 years has been the lowest voter turnout in West Africa: turnout in Mali has been consistently below 40 percent, according to the International Institute for Democracy and Electoral Assistance (see chart below). In other words, even with none of the above obstacles, most eligible voters did not participate in the process. If a vote is held in July, it’s likely that even fewer Malians would take part — and the process would not achieve its purpose of establishing a new government which most Malians would regard as legitimate. While quick elections are therefore unlikely, there’s two reasons for hope that the eventual vote will succeed. One, despite their growing discontent with the practice of governance in their country over the past decade, Malians remain overwhelmingly committed to democratic ideals and institutions, at least in the abstract. The rate of Afrobarometer respondents expressing attachment to elections has remained consistently high (82 percent in December 2012, unchanged from ten years before). Moreover, when asked an open-ended question about the best way to “move beyond a regime that is corrupt and incompetent,” respondents in the six government-controlled regions of Mali last December identified elections more frequently than any alternative. Two, when a vote does take place, given historically low turnout rates, any turnout above 50 percent would make the process look like a resounding success. Given the mood in the country, with many Malians keen to send a message to their leaders, such an outcome is not out of the question. What Mali does not need now is a flawed, ill-prepared process that ordinary Malians will dismiss as another “electoral hold-up” geared to protect the interests of politicians in power. It does not need a premature vote that will not extend over the country’s full territory. The country’s citizens want, and deserve, an election that will inspire their confidence. Postscript, 9 May: L’Indépendant, one of Bamako’s more respectable newspapers, claims that Mali’s transitional government has secretly dispatched emissaries to Paris to “negotiate the postponement” of July elections. Postscript two, 10 May: Africa Confidential concludes that Mali’s government has scarcely begun to prepare for elections, and that foreign partners (notably France and the EU) “see the importance of credible elections” and are “sympathetic” to calls to delay the vote until the end of the year. Postscript three, 14 May: Ambroise Vedrines of Slate Afrique has published a call to “abandon the idea of July elections.” Also, a conversation between Bruce Hall, Baz Lecocq, Greg Mann and myself about Mali’s situation has just appeared on African Arguments. Postscript four, 5 June: Deutsche Welle’s website has published an article entitled “Mali’s Rush to the Ballot Box,” outlining the same issues discussed above. It concludes with what it calls “good news: “The biometric voter registration cards are going to be printed and distributed in time for the election.” Distributed by the manufacturer to the Malian government, maybe — but probably not to Malian voters. That process took three months in Bangladesh, where the state is reasonably intact. It will probably take at least as long in Mali. This entry was posted in Uncategorized and tagged elections, politics. Bookmark the permalink. For all the reasons stated in your piece, I agree that July is not a good time for the elections. But they should be held sometime some this year. The uncertainty and the state of flux in which the country is in can only be broken with a free and fair election and a legitimate government in place in Bamako. Bruce, Thanks for very good article, you outlined four excellent reasons why July election would not be a smart thing to do; I would add one critical point that peace negotiation with the MNLA must start and be concluded before any election. This is because any peace deal with the MNLA must carry a broad support not only from the Malian public at large but also within Malian political actors from all angle. Therefore, dialogue, reconciliation within south and between south and north of the country is crucial now. My fear is that peace is Mali will be difficult to achieve if the newly elected president failed to gain broader support for the peace deal. Adama, how likely do you think such a process of dialogue and reconciliation is between the government in Bamako and the MNLA right now? The rebels have no incentive to disarm, and the Bamako press has stepped up its hostile rhetoric toward the MNLA. It’s hard to envision serious negotiations under such conditions. Hi Bruce, as far as I am aware there is no formal negotiation between the Government and the MNLA but according to various source there is indirect talk with MNLA, France the main actor and negotiator between the MNLA and the government. This process should be given time and if progress is made it should be made formal and bring all political class, actors and the general public from the South and North into the table and have a proper National dialogue on how the country should be in the future. you mentioned before, the main problems of Mali conflict are corruption and lack of leadership which I believe exist in both side of the conflict, the North particularly the tuareg leader and of course the bamako political class. Yes the MNLA have no incentive to disarm, but disarmament can be done once dialogue, reconciliation and a peace treaty took place. In the past conflict Mali did not have third party peacekeeping force or a Guarantor of peace in the ground, this time there will be robust UN force and France in the ground as a Guarantor of peace; therefore I see no reason why the MNLA will break a peace treaty by refusing to disarm or the government will not be implementing a peace treaty. This is the last chance for Mali to resolve this conflict once for all. Yes Bruce, you are right the Bamako press has stepped up its hostile rhetoric toward the MNLA and this is why I m arguing for an extensive national dialogue reconciliation process and eventually a peace treaty. Supporters of the MNLA, the Tuareg community and the population at large in North and South Mali need to fully debate and understood that the problem in the North was never resolved before because of the Elite and leadership: in the MNLA, in the Tuareg community and particular the political class in Bamako which include some tuareg as well. Everytime a conflict start in the North, the tuareg political elite and the political class in bamako exchange bribes, signed a hopeless peace treaty that does not address the core problem in the North. I totally agree Adama. What the politicians in Bamako need to show now is vision, leadership and courage. If they succumb to demagoguery and remain subservient to ill-informed popular prejudices, then Mali can look forward to another century of conflict and suffering. Once again I think it’s worth drawing parallels with the political process in Northern Ireland in the 1990s. The IRA was also seen as a criminal organization by the vast majority of mainland UK voters. And undoubtedly, in some respects, they were. But it’s only when politicians in London, like John Major and Mo Mowlem, had the courage to break the deadlock and to involve ALL parties in the conflict, including the IRA, in talks WITHOUT DISARMAMENT AS A PRECONDITION, that the situation began to improve. The US brokered the process, just as France could in the case of Mali. And now, apart from the activities of a few recalcitrant republicans and the odd Protestant riot, northern Ireland is enjoying greater stability that it has known at any time since the early 1960s. This state of relative grace could only come about thanks to A) The Republicans renouncing violence and their basic commitment to independence from the UK and B) The UK government recognizing that Northern Ireland needs its own political institutions and a certain degree of autonomy. In order to achieve this settlement, John Major, Mo Mowlem, Tony Blair et al had to brave the vitriol of the British gutter press and some of the more extreme voices on the right. Politicians in Bamako must show the same courage. Just as in northern Ireland, their ultimate prize could be a definite resolution to a conflict that has gone on for far too long. Is there any touareg leader left with the mandate to negotiate for even Kidal region? But who can speak for more than a small fraction of the touaregs? And how can a working accord be reached and implemented? That is one difference with Northern Ireland – the negotiating partners were clearly defined, and they had a mandate. Two stable governements involved, referendums held. Bamako isn’t much better. How come there are no signs of a new movement demanding UNITY and REAL change? Or is there? France brokering a deal? They wouldn’t let Aminata Traoré or Oumar Marika into Europe. Who would they want at the table? PS – just now I hear rumours MIA and MNLA is about to become one organization. Thanks. Right now, it seems to me that NO political leader in the entire nation of Mali has a mandate to speak on behalf of anyone, either in the north or the south. Bruce’s article proposes that an ill-thought out and badly managed election won’t give anyone a proper universally accepted mandate either. Furthermore, no one knows the true levels of support for the MNLA, or ag Gamou or any other Touareg politician for that matter, although the media, both national and international, carry as if they do know these things, which is disingenuous in the extreme. Having said that, I feel fairly confident that neither Alghabass ag Intallah or Ahmed Ag Bibi have much support at all any more. Also, it’s in the nature of armed revolutionary groups not to possess an ‘official’ mandate. They don’t exactly set out on their risky missions by appealing to their constituency first on the basis of universal suffrage and a secret ballot. Fidel Castro didn’t have a mandate when he landed in Cuba on the Granma. It’s arguable that he should have sought one soon after gaining power. But when you’re fighting a system you believe to be wholly unjust and fundamentally unrepresentative, you tend to go for power first and then sort out the democracy later (if at all). That’s just the way things work. And, in northern Ireland, neither the IRA or any of the Unionist Paramilitary groups had any kind of official mandate, and yet they were part of the negotiations in the 1990s. Sinn Fein and the Unionist parties did of course, which I grant was a help.